“So, where are you from?”… Todd Barry: The Crowd Work Tour comedy special released on louisck.com – Hello, I'm Marc Lagace! Interacting with the crowd is the one thing that really intimidates me about attempting stand up. I could stand in front of a room of strangers and work through a practiced routine, but I dread the thought of a voice in the crowd cutting me off and derailing my train of thought. Of course, without the crowd I’d just be a crazy man telling jokes to his cat. That would be really embarrassing. 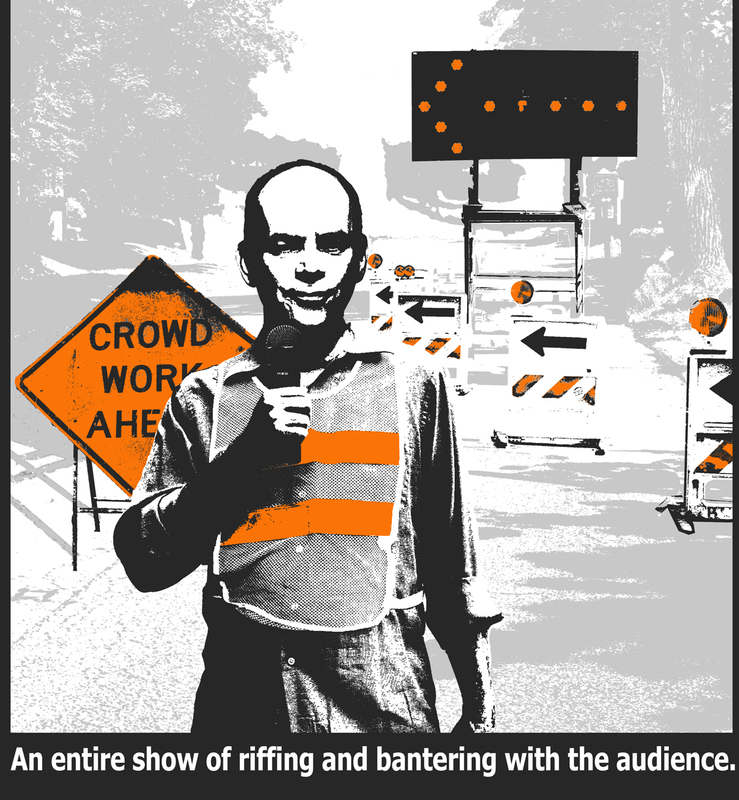 So while I let my anxiety about talking with strangers keep me from going to an open mic to try out material, career comedian Todd Barry’s latest special is all crowd work, and available at Louis CK’s website for only $5. The special follows Barry though a series of stops on his 2013 Crowd Work Tour up the west coast, starting at San Diego and finishing off in Anchorage. He hit the road with no prepared material, finding humour in random conversations in the crowd. The special is available DRM-free on louisck.com, and is the first special of another comedian to be hosted by Louis CK’s website. Louis CK famously made $1 million in 12 days after selling his special Live at the Beacon Theatre in 2011. The only other time Louis has hosted another comedian’s material through his site was in 2012, hosting Tig Notaro’s legendary 30-minute stand up set at Largo in Los Angeles days after finding out she had breast cancer. The special “Tig Notaro: Live” went to the top of the Billboard comedy album charts. An evening with Bill Burr, and the loss of a comedy legend.